Capt. Brock McGehee, a pilot from Kadena’s 44th Fighter Squadron who has been flying F-15s for two years, characterized the F-35 as an “extremely capable” air-to-air fighter, during a February interview with Defense News. McGehee compared the F-35 to its fifth-generation brother, the F-22 Raptor. Both are stealth aircraft, making them very difficult to detect at long distances. But in close combat, an F-15 will engage an F-22 and F-35 very differently, he said. He declined to discuss specifics that could reveal tactics, techniques and procedures and provide an adversary with hints about how to best either aircraft. “I mean, sometimes,” McGehee said, adding that all aircraft lose in aerial combat sometimes, and for various reasons. This isn't your usual F-35 article where I critique the plane. No this is about current DoD policy and how its skewing things toward the technological....instead of equipping the man, we're manning the equipment. That pilot said something that is well known to many here. God knows I've heard it screamed enough times. It's not about the airplane but the pilot! Well this F-35 jockey just confirmed that. It's also stunning. I've never heard a F-22 state that if he flew his airplane correctly, if the rules of engagement didn't tie his hands during a training exercise etc...that he would fall prey to a 4th gen fighter. Sure we've seen all kinds of planes have F-22's on their gun camera film but we've also heard explanations for it almost EVERY time. We're not hearing that with the F-35. Dude is saying that if he runs up against a capable F-15 driver that he can lose. I assume the same applies to an F-16, F-18, Rafale, Gripen or Typhoon. Did we labor mightily and do the wrong thing? 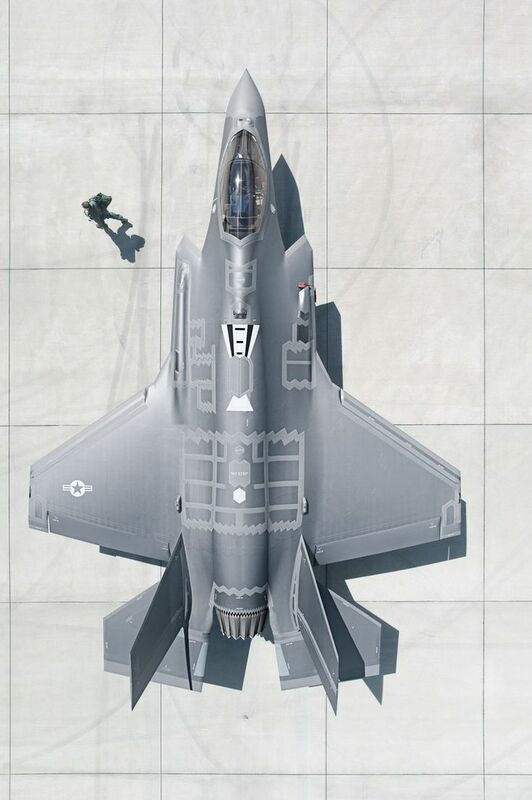 Should we have pumped more money to training up our pilots to top gun instructor status and having a cadre of airman that could fly the wings off the enemy in updated aircraft or shot for the moon and missed with the horrible F-35?